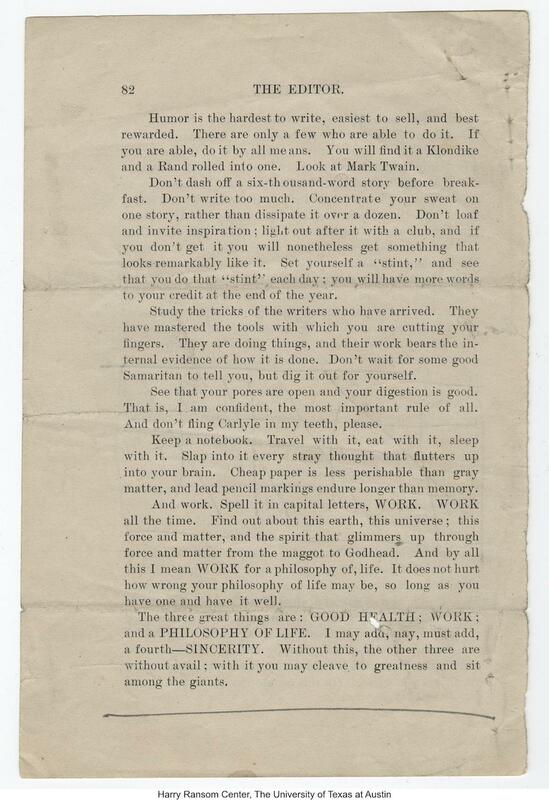 Jack London: The author's writing advice. 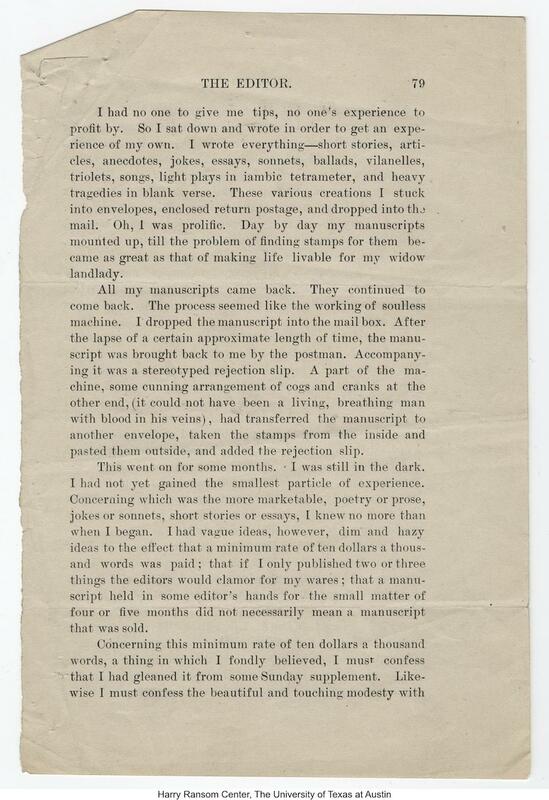 The Harry Ransom Center of the University of Texas at Austin recently released the results of a digitization initiative aimed at bringing the papers of 19th- and early-20th-century authors online. (Other authors with newly augmented Ransom Center digital archives include Hart Crane, Joseph Conrad, and Robert Louis Stevenson.) 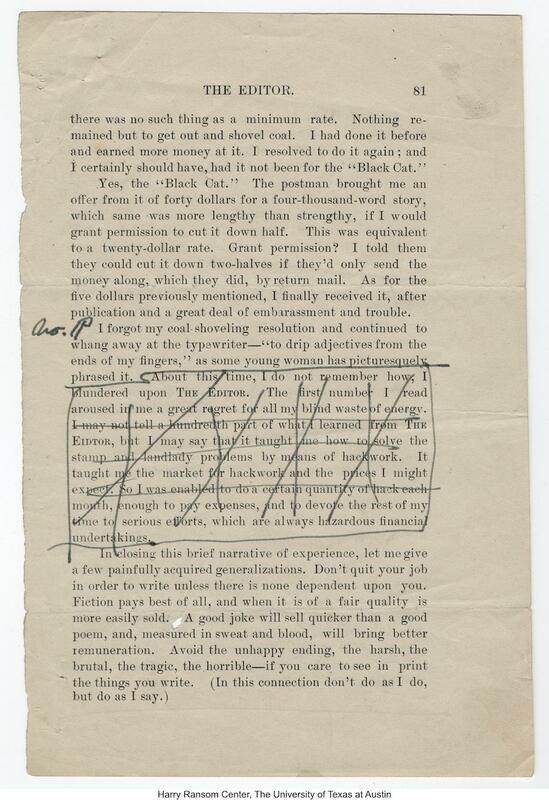 I found this set of corrected page proofs in the Jack London collection: London’s article “Getting Into Print” appeared in the Editor in March 1903. After London went north to the Yukon in 1897, he began to have success placing stories. 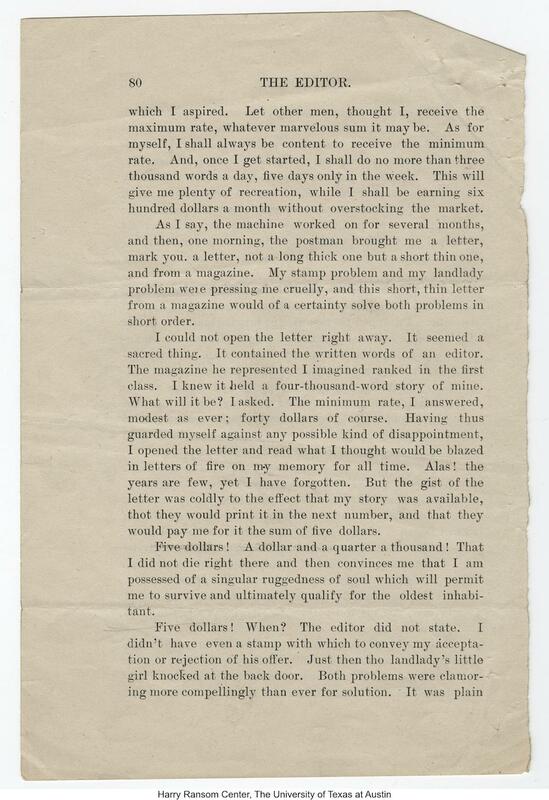 When he wrote this piece in 1903, he had been publishing steadily for four years. That same year, The Call of the Wild, his most successful novel, appeared in installments in the Saturday Evening Post, then as a book. London wrote for a living until his early death in 1916. 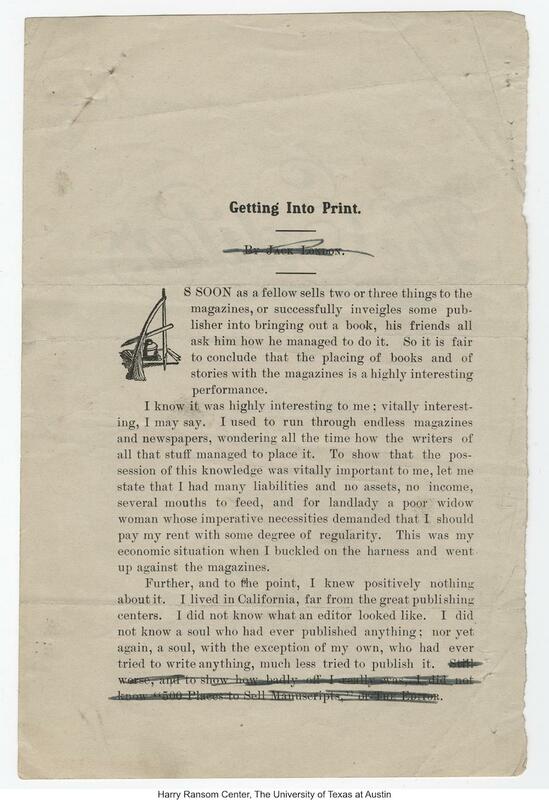 Jack London, “Getting Into Print,” The Editor, March 1903. Harry Ransom Center; The University of Texas at Austin.